For the past 11 years, McDonald’s Restaurants have supported the 100 Club of Comal County by donating a portion of their proceeds from 11am to 2pm to the organization. 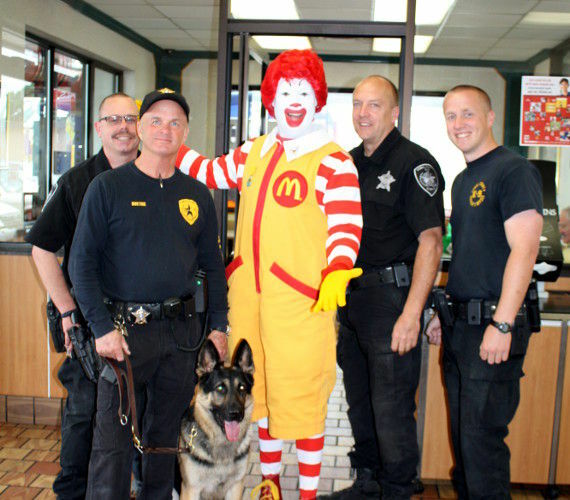 On Good Friday, Local Law Enforcement, Fire and EMS and even the Comal County Sheriff’s Office special K-9 unit manned 7 local McDonald’s welcoming customers and educating them about the 100 Club. Ronald McDonald was on hand at several of the locations performing magic tricks, posing for photos and thanking customers for their support. The 100 Club of Comal County is a non-profit organization and was formed in 2001. When a law enforcement officer, firefighter, emergency medical service provider or jailer is killed in the line of duty, funds are used to assist the surviving spouse, dependent children or other family members. The 100 Club will quickly deliver a check to the family to provide them with funding for their immediately incurred financial needs. Each contributor annually donates $100 or more to this non-profit. 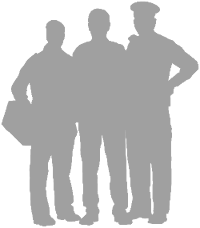 The Club operates with an all volunteer staff and no other administrative expenses.